If your hard drive is failing, it can prevent the Update CD or DVD from writing to your drive, causing the update to crash. Unlike firmware updates in the computer industry, MyGig firmware updates are not written to be fault-tolerant during installation. This can leave your firmware in an inconsistent state; or worse, with corruption that prevents your system from switching into "Emergency Update" mode. Normally after an update crash, your system will give you the option to resume with an "Emergency Update". If your system boots into "Emergency Update" mode, to avoid creating a problem you can't fix, restore or replace the drive that caused the update to crash before you make another attempt to run the update. Before you install a MyGig Software Update, check the problems usually caused by a failing hard drive. Bottom Line: MyGig Software Updates usually don't fix the problems on the "Disk Problems" list. If your problem is on the list, you can avoid permanent damage to your system if you address the hard drive problem before you install a MyGig Software Update. 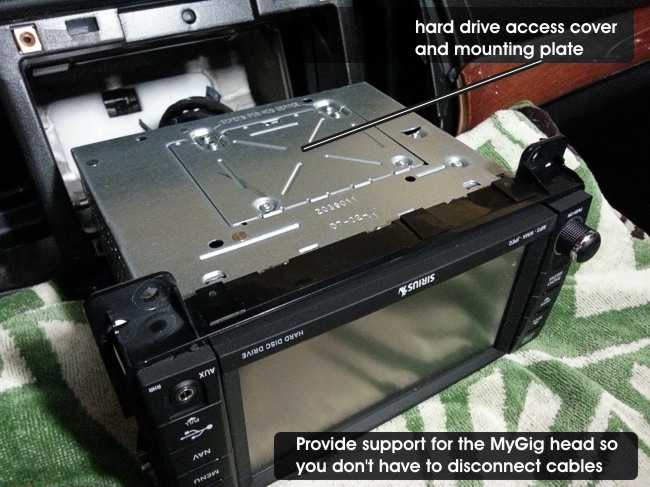 All MyGig systems will normally play AM/FM radio with no hard drive in the system, but some types of hard drive failures (except for RHB and RBZ) can make your system completely unresponsive including AM/FM radio. Your system does not need a hard drive to boot into "Emergency Update" mode. In fact a failing or corrupt hard drive can prevent your system from entering "Emergency Update" mode following a failed MyGig software update. This is just a diagnostic fact . . . . don't attempt to resume the update without a good drive connected to your system. These MyGig behaviors mean you can test to see if a new hard drive will solve your problem without buying a new drive. If your MyGig system is rebooting, or the screen is blank or the controls are not responsive following a failed update, remove your hard drive to see if it boots into "Emergency Update" without the hard drive. If so, don't attempt to resume the update until you have installed a new MyGig hard drive. If "Emergency Update" is available with the drive disconnected, this proves your hard drive was causing your system to be unresponsive. You should now be able to complete the update after you install a good MyGig hard drive. Disconnect the negative cable from your car battery or remove the fuse every time you connect or disconnect a hard drive from your system. 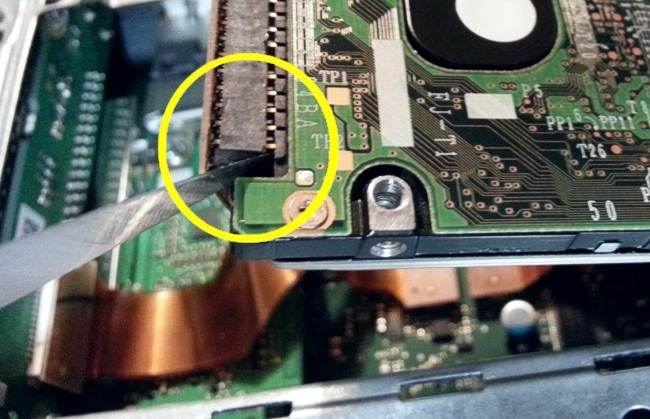 See instructions for removing or disconnecting the hard drive.